Nestled in the heart of Paul's prayer for his gospel partners in Philippi is this little phrase that has captured my attention for months as I've studied Philippians. "And this I pray: that your love may abound (and overflow) still more and more, as you continue to grow in knowledge and depth of understanding, so that you may be able to discern what really matters. For I want you to understand what really matters so that you may be sincere (pure) and blameless for the day of Christ..." (NLT, NASB, NIV, my own paraphrase). 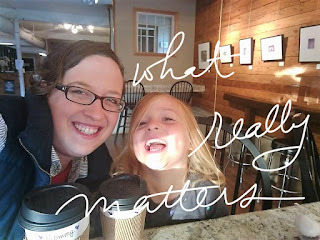 And that phrase "what really matters" has been branded on my soul, a gorgeous spiritual tattoo that frequently reminds me of the journey He's had me on and the lessons I'm still learning. The WHY comes after the phrase: that on that Day, we would be presented "pure and blameless" (NLT/NIV) ... "having been filled with the fruit of righteousness which comes through Jesus Christ, to the glory and praise of God" (NASB). And in another passage, as Paul wrote to the Ephesian believers urging them similarly to "carefully determine what pleases the Lord" (Ephesians 5:10, NLT), he painted the metaphor of the marriage relationship that points toward the goal of Christ presenting to Himself a gloriously sanctified Bride (verses 21-33). God's glory and our purity - this is a worthy goal. The WHAT, we find, involves ongoing decision making: "For I want you to understand what really matters" or "so that you may be able to discern what really matters." Think for a moment how much of living is minute-by-minute discernment? Aren't we constantly making decisions? If you think about your growing up in Him, hasn't it been a process of progressing from "milk" to "solid meat" and then "by constant use [training yourself] to distinguish good from evil"? (Hebrews 5:11-14). In that particular passage in Hebrews, the writer is bemoaning to his reader how "it is hard to make it clear to you" and he says frankly "because you no longer try to understand" (verse 11), which brings us to our next point. The HOW of figuring out "what really matters" is presented in the two preceding phrases: "that your love may abound still more and more" and "in knowledge and depth of insight/that you will keep on growing in knowledge and understanding." But if we are to "discern what really matters," we must filter our decisions through BOTH faithful love AND wisdom. Here, "love" and "knowledge and depth of insight" are to be increasing, to be growing, to be evidenced more ... and "still more and more." Later, when Paul talks about "working out your own salvation with fear and trembling," (2:12), this continual decision-making is part of that. Sometimes it's scary to have to make so many decisions. But this is our life. It's a life of faith. It takes faith to move forward. It takes a willingness to take a step -- and the humility to admit when we've taken a misstep. Throughout his letter to the Philippians, Paul uses words like "process" and "progress." We see "keep on" and "carry it on" and "pursue." We see words with "-ing" endings, like "growing," "working," "forgetting," "reaching." 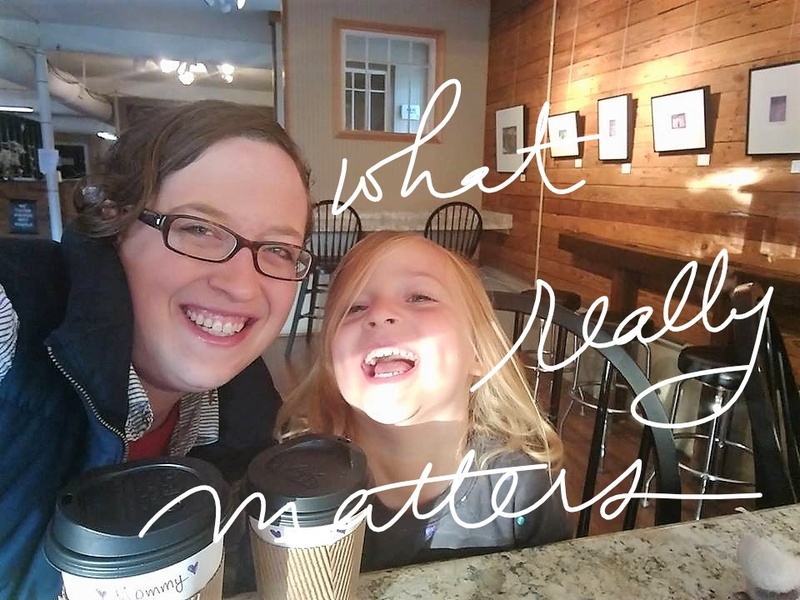 This figuring out "what really matters" is a process. Just like building muscles at the gym takes time and continual energy exerted, so training ourselves to make "what really matters" decisions is ongoing exercise. But lest we risk falling away, like those mentioned in Hebrews 5, it is worth our "trying to understand." By God's grace, we grow. We get stronger and stronger. We understand things more and more clearly. We get better and better at loving people. We don't give up. We look to the Lord, and our strength is renewed so that it's like we're mounting up with the powerful wings of an eagle and soaring, we're running and not growing weary, we're walking - with "mercy and truth meeting one another at every step" - and we're not fainting (Isaiah 40:31, with the inner quote coming from Pete Steveson's commentary on Psalm 85:10). And we find ourselves having grown in our ability to discern what really matters. So we increase in our ability to live pure and blameless lives that we won't be ashamed of on that approaching Day when Christ returns. What pieces of insight has God given me to help me determine "what really matters" for His glory in this situation? What does His Word say? What truths, revealed in the world He created, play in here? And we check ourselves - always - with, Is this loving? Is it in keeping with faithful love? In Part 2, I'm going to share an intensely practical application that might surprise you. But until then, I think we do well to back up just one more phrase, where we read, "And this I pray." This is a prayer that Paul prayed for some of his dearest friends. And it is a prayer that we do well to pray for those we love and labor side by side with. "And this I pray: that your love may abound and overflow still more and more, as you continue to grow in knowledge and depth of understanding, so that you may be able to discern what really matters. For I want you to understand what really matters so that you may be pure and blameless for the day of Christ, having been filled with the fruit of righteousness that comes through Jesus Christ - to the glory and praise of God." (NLT, NASB, NIV, my own paraphrase).